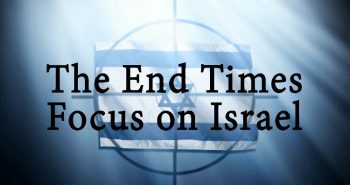 The previous articles in this series analyzed parts of Geert Wilders’ speech to the Hudson Institute concerning Bible prophecy as it relates to Jews and Islam. 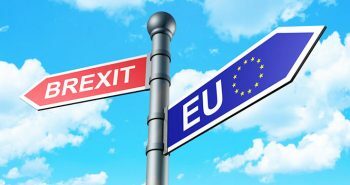 In this article, Mr. Wilders’ short documentary called Fitna will be reviewed as its warning relates to Europe in Bible prophecy. 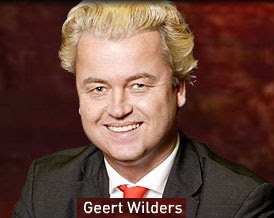 For the full text of Mr. Wilders’ speech, visit the People’s Party for Freedom and Democracy website. “Which brings me to my movie, Fitna. Watch this controversial movie on Google Video! Fitna merely uses the Koran, news stories and Islam’s own practices to make people aware of what Islam’s intentions and rule would be like. And yet, European leaders have chosen to appease Islam and attempt to silence Mr. Wilders’ warning. Since appeasement always leads to subjugation by a totalitarian ideology, shouldn’t Europe soon be conquered by Islam? I don’t think one particular European will remain compliant about Islamic takeover for very long. The Antichrist makes his scene like a peaceful, appeasing “dove” (Rev. 6:2), but once in control of this native of “the people who destroy the Temple” (Dan. 9;26) — the Romans — conquers with a warrior’s spirit (Rev. 6:4). Clearly he will have taken Fitna‘s warning to heart. What is this leader who believers in Christ call “Antichrist” use to remove the threat of the Islamic takeover of Europe? Opportunity. 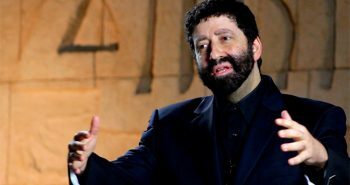 The Book of Daniel foretells the last Gentile world empire will be a confederation of nations (Dan. 2:41-43) that will arise out of the old Roman Empire (Dan. 7:7-8). And out of that confederation, the Antichrist will arise, using the revived Roman Empire as his base to conquer the world (Dan. 7:8, 23-25). Half of the Roman Empire has quickly been reborn in the form of the European Union. The other half needed to complete the revival of the Roman Empire lies throughout a variety of Muslim nations from North Africa east around the Mediterranean Sea. Europe has been in negotiations with these countries in an attempt to create an economic union called the Mediterranean Union. The battles of Psalm 83 and Ezekiel 38 & 39 makes the scenario of a Mediterranean Union highly unlikely, though. With the Islamic nations crushed by Israel and God, the leader from the European Union wouldn’t need a Mediterranean Union. Islamic morale will have been shattered and religious dissolution over the existence of Allah will have set in. The European ruler would only have to make a treaty with the only nation left in the Middle East — Israel — which he does in Daniel 9:27, and just walk right into the already defeated Islamic nations and subjugate them. Once the revived Roman Empire is consolidated, the Antichrist will bring world war upon the rest of the world, eliminating any vestiges of rivaling totalitarianism like Islam and forcing the nations of the world into subjugation to his empire (Dan. 8:24; Rev. 6:2-8). He’ll have to contend with the other absolute ideologies like Judaism and Tribulation believers of Christ, which he does (Rev. 6:9-11; 7:9-14). But overall, the world will be his to force to obey a new religion unknown to his fathers — the worship of himself (Dan. 11:38; 2 Thes. 2:4). Antichrist’s final Gentile empire will be short-lived, though, for it will be utterly defeated by the return of the Messiah who will “set up a kingdom which will never be destroyed” (Daniel 2:44). 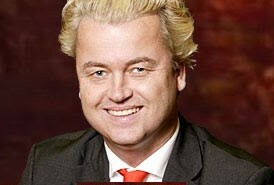 The next part covers Mr. Wilders’ warning to Israel. Nathan, up until now, I leaned heavily towards a Muslim antichrist, but thanks to your persuasive aguments against, I have changed my mind. The view-point you put forth is undebatable.